Like a lot of liberal arts colleges, St. Catherine University is feeling the financial squeeze of growing costs and plateauing revenues. On Tuesday, St. Kate's board of trustees will consider a cost-saving plan that includes layoffs. In late April, students at St. Kate's received a long email from the St. Paul school's president. ReBecca Koenig Roloff said the administration and faculty took a close look at expenses and revenues and saw a widening gap. "It's hard to have revenue keep pace with rising costs for higher education, and at the same time we're really mindful of trying to keep our tuition and our fees at a reasonable level for our students," St. Kate's provost Alan Silva said. St. Kate's leaders expect to face a deficit in the 2019 school year without changes in spending. Recently, the school's enrollment has also dipped, falling by 6.2 percent from 2012 to 2016. • Discussion: What are the consequences of rising college costs? 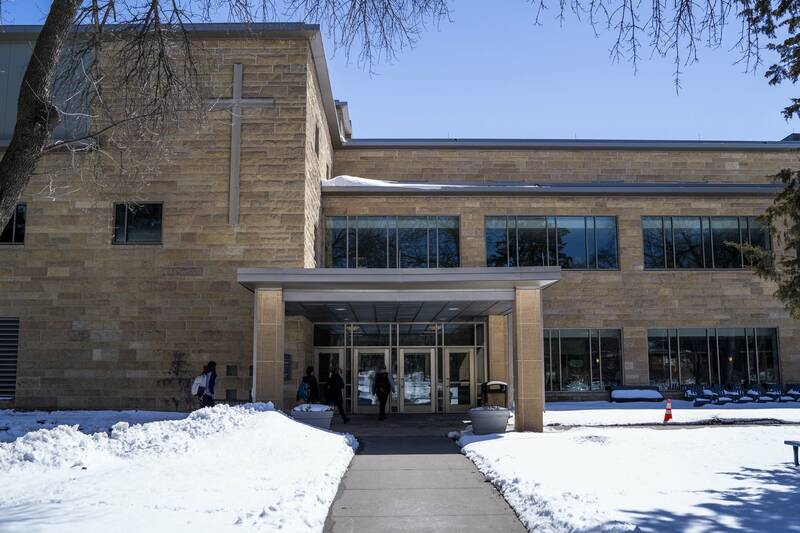 In order to deal with those issues, Silva says, St. Kate's may cut some student services and possibly eliminate about 50 faculty and staff positions. Right now the school has 326 faculty and 426 staff members. "We've all shed many tears because it wasn't something we would like to do. 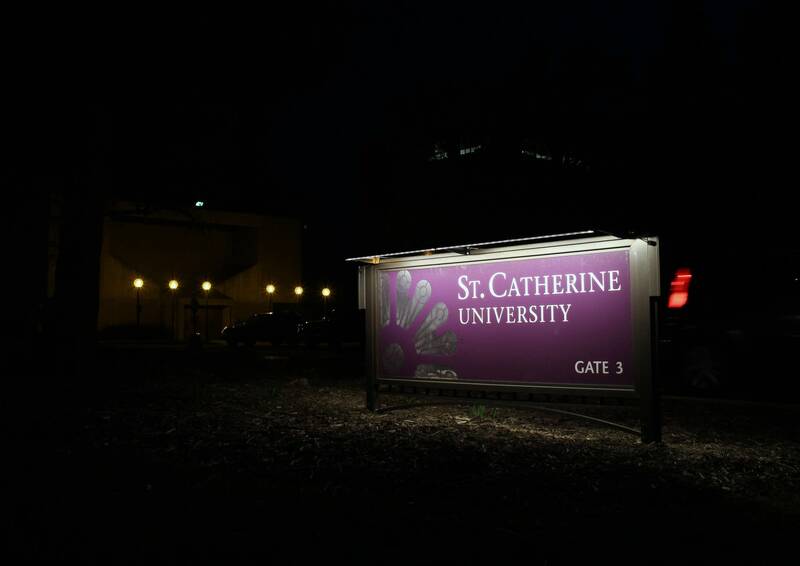 But when we saw the numbers and started building models, we could see that, 'Yeah, we have to fix something,' because this isn't sustainable and we want St. Kate's to be here for our students," said Susan Trelstad, head of the sonography program and current president of the faculty senate. Each department is evaluating staffing and budgets for places to cut costs. Tenured faculty may get less leave to work on research projects. The average number of students could rise from around 10.4 to between 12 and 15 per class. Trelstad said the process has been "collaborative"; the administration decided to include them in discussions over the last several months. Not all cuts will be equal across programs. Rather, school spokesperson Toccara Stark said, the administration and faculty tried to make reductions based on student needs and the number of faculty required for each program if everyone has a full course load. Sen Chaudhry, a junior pursuing an English major, said she has heard rumors that her department might be moved into a smaller building and that retiring professors' jobs will not be filled. "Going into my senior year, I don't have really high hopes for what next year is going to look like," Chaudhry said. "I don't know anyone who is like a humanities major who feels like their major is safe right now." Silva, the provost, said he has told worried students their programs still will exist. "We've assured them and talked to them about how this model is different, that it doesn't just go through and just lop off a dozen programs or something," Silva said. St. Kate's will hold a meeting on Wednesday to hear from students. Faculty affected by layoffs and cuts will be notified by May 15.